This Ahmedabad’s Event is a haven for coin collectors and one with interest in history. 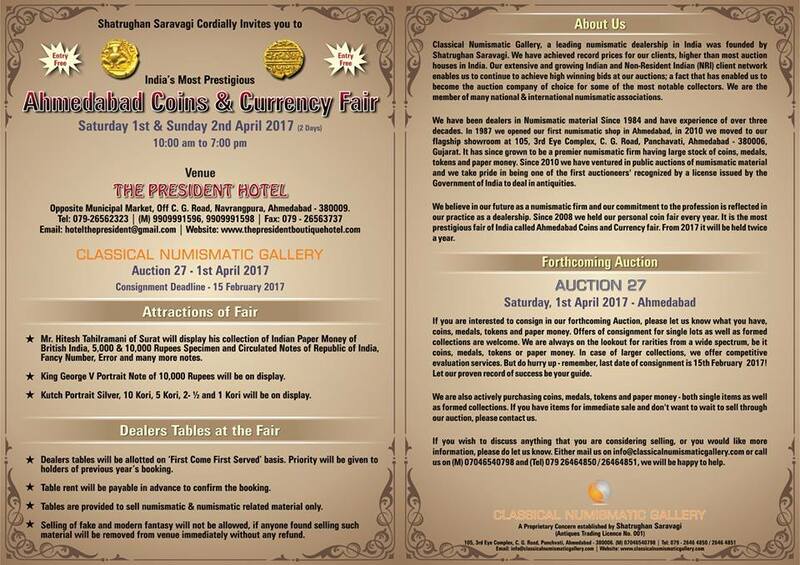 in this fair the organisers displaying some rare and prestigious currencies around the globe also they are auctioning some of the coins. More detail about the event is in the Creative of event.